Two Money in the Bank qualifiers have been added to the lineup for tonight's Raw in London. 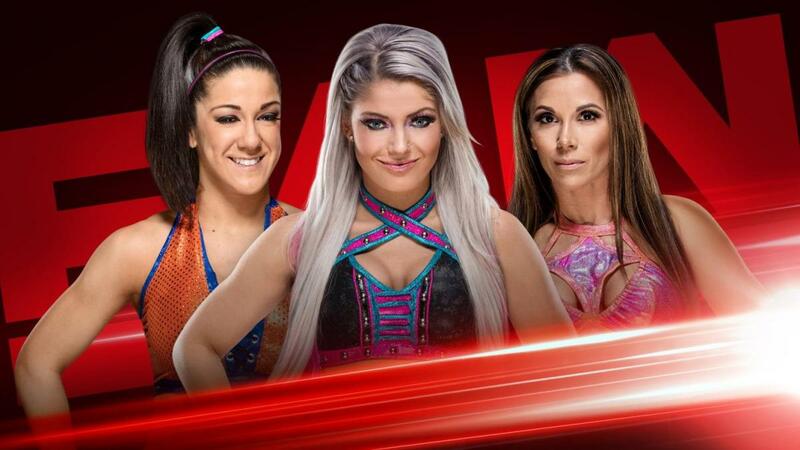 Both are triple threat matches, with Bobby Roode facing Baron Corbin and No Way Jose, and Alexa Bliss taking on Bayley and Mickie James. Braun Strowman, Finn Balor, The Miz, and Rusev have gotten spots in the men's Money in the Bank ladder match thus far, with Ember Moon and Charlotte Flair qualifying on the women's side. There will be eight wrestlers in each ladder match on the June 17th pay-per-view. Tonight's Raw is being taped in advance at the O2 Arena, and WWE will return to the venue for tomorrow's SmackDown tapings. Seth Rollins defending his Intercontinental Championship against Kevin Owens is also set for tonight. Andrade "Cien" Almas and Zelina Vega debuting on the show and The New Day vs. Cesaro & Sheamus, where one member of the winning team will qualify for the men's Money in the Bank ladder match, are advertised for this week's SmackDown.